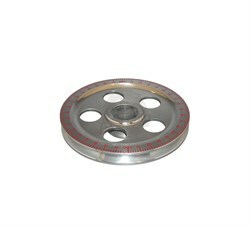 Graduated camshaft pulley in red. Graduated camshaft pulley in blue. 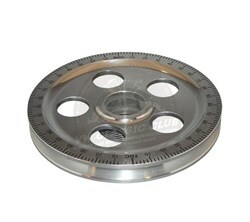 Graduated camshaft pulley in black. Crankshaft pulley bolt in nickel. Alternator backing plate in nickel.